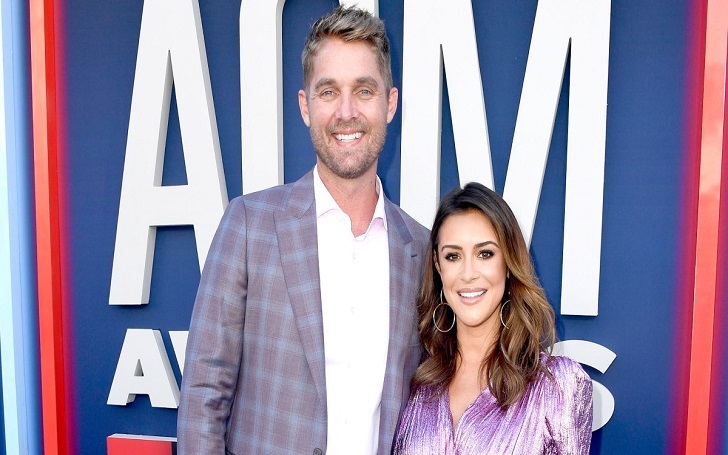 Baby on board for Brett Young and Taylor Mills! The singer and his wife are expecting their first child together. The pop star, 38, confirmed the pregnancy news during ACM Awards 2019. The couple was heading to the award show in Las Vegas where they were stopped by PEOPLE. Placing his hands to his wife's growing baby bump, Young joked to the outlet, "We couldn’t have [Taylor] in a dress and not explain why [she has a bump]. It hasn’t been donut month." He then said, "There’s actually a baby in here." We’ve known each other for quite a while and at our age, I think we were just ready to start a family. We’re like, ‘We’ve lived a pretty good, fun, selfish life!’ So I think we’re ready to take the next step. The couple initially shared their baby exclusively with the publication on Saturday, April 6. The country star explained that he and his wife "have always shared the same heart for wanting a family." The newlyweds then revealed that they discovered about expecting in early February after Taylor took a pregnancy test "on a whim." At the time, the parents-to-be were in Las Vegas where they spent Super Bowl weekend with friends and family. Young and Taylor became married on November 3, 2018, in Palm Desert, California, after getting engaged in February 2018. Congratulations to you two guys!